Great to see this back in theatres for the 30th Anniversary! 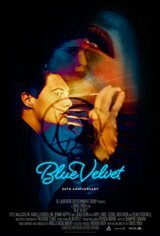 David Lynch's masterpiece is back on the big screen, completely restored for it's 30th Anniversary! Back in theatres for its 30th Anniversary! Don't miss your chance to see this David Lynch masterpiece on the big screen! Great to see this back in theatres!